You will stay in your own private room with ensuite bath in a beautifully curated boutique palazzo boasting it’s own secret garden oasis perfect for relaxing. You will live like a local, nestled in one of the trendy artisan neighborhoods of the “Oltrarno” and only steps away from some of the best sights in the city. You’ll be enchanted by the Florentine hospitality and the roots of the Italian renaissance atmosphere. 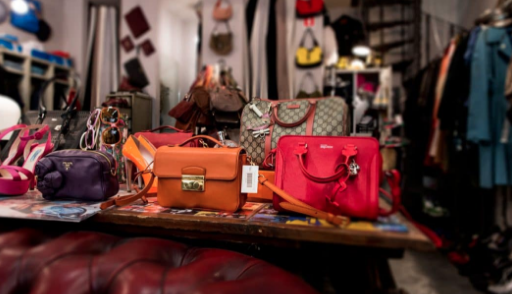 Florence is home to many Italian luxury brands and we will indulge in several trips to local vintage consignment designer brand boutiques boasting high-end designers such as Prada, Gucci, and Ferragamo just to name a few. This is your chance to find that special hard-to-find treasure you’ve been looking for! Mid-week we will board our private shuttle for a VIP experience at one of Tuscany’s premier luxury designer outlets...The Mall, where you will receive your exclusive “myLUXURY Wallet” with special benefits dedicated to you including additional discounts. Midday we'll take a break with a delightful lunch at the Gucci cafe. to the VAT Tax Free Lounge. This luxury boutique palazzo is situated in the heart of Florence’s city center and is located on the other side of the Arno river in an area affectionately known as the Oltrarno. It is the oldest district of Florence and is among one of the most beloved by the Florentines. This is an ancient family palazzo and is decorated with a mix of luxury vintage and modern furnishings and all the rooms vary in size and amenities. Please kindly note there is no elevator. Discover the private green oasis hidden behind the walls of this delightful palazzo. lt is serene and quiet... where you can take a break and relax from the city. In the surrounding neighborhood you can find the perfect mix between Florentine foods, local artisans, and a lively nightlife scene. Not far from this palazzo’s location, you can venture off to Piazzale Michelangelo, Boboli Gardens, Pitti Palace, The Church of Santo Spirito, Ponte Vecchio, and much more! In the mornings, complimentary coffee and tea are available in the salon beginning at 9am. Other amenities include free access to Wi-Fi and internet, air conditioning, iron and ironing board, courtesy toiletries, extra pillows and covers…keep in mind, this is palazzo apartment living…there is no room service or 24 hour concierge. You are living like a local to have an authentic Florentine experience. This is not your usual tour. We have an expert private guide (lovingly referred to as "the Royal Tour Guide" since she is the one chosen to take Prince Charles and Camilla through Florence when they pop into town) to take us through the Museo dell'Opera del Duomo, illuminating the original works of art by Michelangelo, Donatello, and Ghiberti (among others) specific to this famous landmark of which Florence is known. Standing in front of renowned works of art only seen in books is a priceless experience. This day we adventure into the region of Chianti, otherwise known as the Tuscan wine country. With our private guide, we will learn all about this region's famous Sangiovese grape and how it makes the wine Chianti is famously known for. We also enjoy a behind the scenes look at the vineyard's operations by peeking into the wine cellars lined with huge fermenting barrels of deliciousness, tasting several different wines along with the vineyard's olive oil, and hearing all about the history at both of the wineries we visit. By then we'll really be ready to enjoy our traditional Tuscan dinner! Take your cooking skills up a notch learning all the techniques, tips, and tricks from an expert local chef to cook traditional "Tuscan style" fare. We will prepare a starter, two types of fresh handmade pasta with different sauces, and a fabulous dessert. After all that hard work, we'll get to sit down and savor the results! I'm a southern Californian by way of Florida. A bit irreverent, artistic, and willing to jump a fence to find a new adventure. One of my many passions is sharing my love for the city and people of Florence, Italy where I host and coordinate several types of week long experiences. I am a metalsmith, artist, and a continuous student of the Italian language. My role for this Fashion in Florence shopping week is to facilitate logistics and to help you experience an authentic, local Italian lifestyle during your stay...giving you a deeper travel experience that you will treasure for a lifetime. By the age of 4, the travel bug bit me while visiting family in the Panama Canal Zone and wearing my first bikini on the beaches of Jamaica. I’ve been a tap dancing teacher and a lawyer - but my passion is planning travel. So far I have explored 5 continents...and counting! My love affair with Italy began at the age of 20 when I had a chance meeting with a member of the Ferragamo family in a Florentine piazza. I have studied the Italian language ever since... which is where I met Monica. I especially love to plan custom itineraries through Western Europe and South America catering to special interests such as wine, culinary, photography, and shopping. Corporate Image consultant, business etiquette coach, and all around fashion fanatic are just some of the avenues that I have expressed my passions. My speaking engagements and personal shopping clientele include Fortune 500 companies, executives, doctors, lawyers, college professors, and private institutions. As a former “Personal Shopper” and Corporate Image trainer for Nordstrom and Bloomingdales, I also conducted many of their outside workshops and continue to work closely with Nordstrom today. I have a passion and love for consignment shopping. I truly feel you do not need to spend a lot of money to look amazing. It’s in my blood. 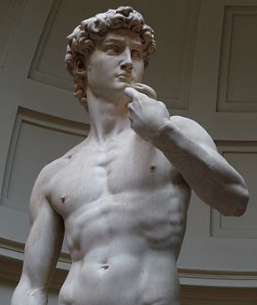 Join our Fashion in Florence mailing list! We totally respect your privacy...pinky promise.